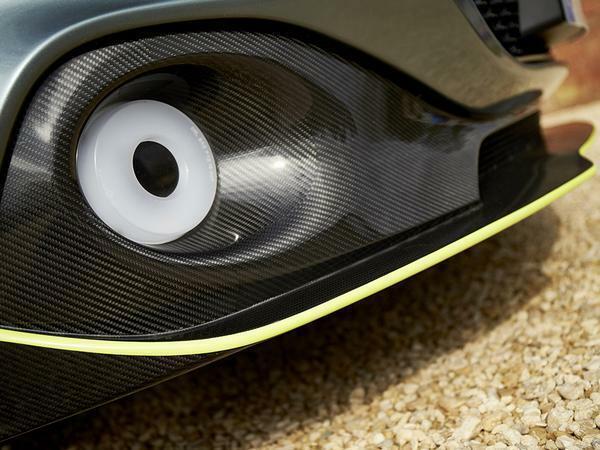 So then, this is it – the naturally-aspirated Aston Martin is done. 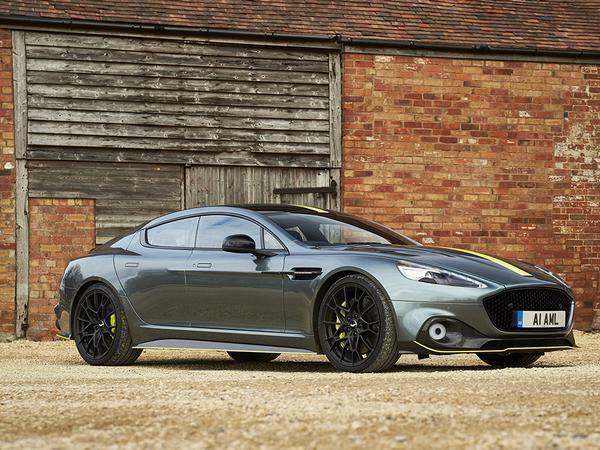 Memories of howling V12s and searing straight-sixes will now remain just that, this Rapide AMR representing the very last Aston to be made using an engine without the assistance of turbochargers. Or electricity. 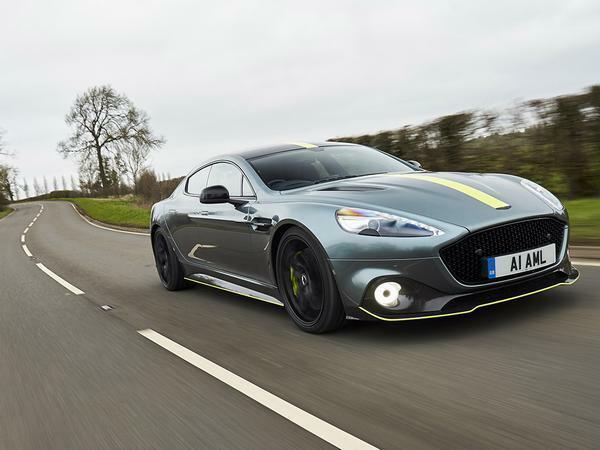 Given how much of Aston Martin’s 21st century appeal has been built on its V8 and V12 duo – the 90s of course being defined by supercharged sixes and V8s – it means this Rapide assumes a new importance. That V12, first introduced for the DB7 Vantage back in 1999, has powered DB9s, Vanquishes, Virages and Vantages in some form or another (to considerable acclaim) ever since; while the new 5.2-litre twin-turbo V12 is a masterpiece of an engine, there remains some inevitable sadness to the old ways departing when they’re this good. Powerful, big capacity V12s are one of the greatest joys of motoring, their ever-increasing rarity only furthering the mystique and allure. 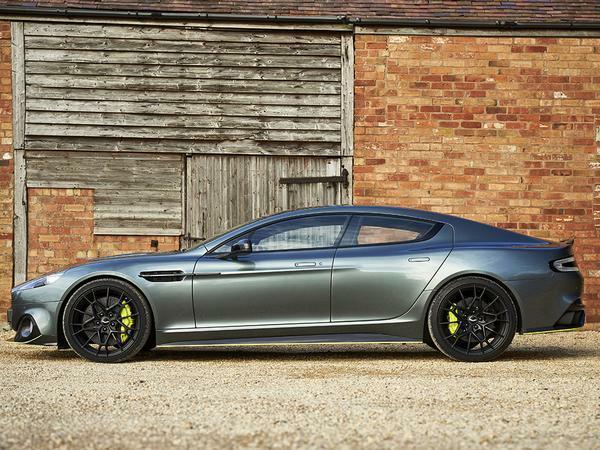 This valedictory special gives the Rapide a new seniority in the Aston history as the last model to carry the big V12, its near decade on sale having arguably not been as impactful as those core Aston sports cars. It was always a lovely thing to drive, if lacking the space and opulence of the very best luxury saloons and the outright performance to rival the German alternatives. 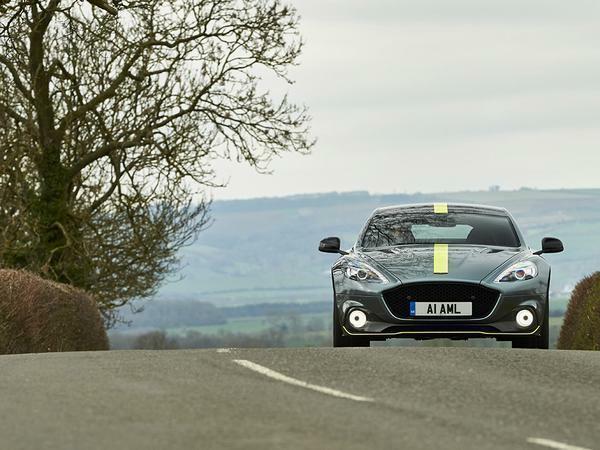 Given this AMR is a farewell to the Rapide rather than a whole new model, the same issues are here that always have been. But you’ll know all about those, because they’ve been around for a while. 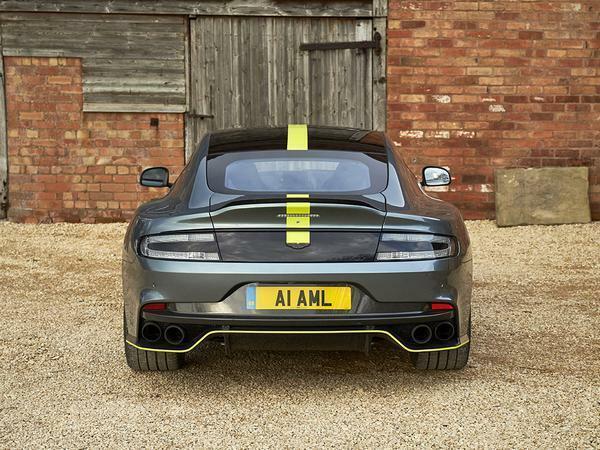 If you’re one of the fortunate people due to get a Rapide AMR (a couple of the production run are still said to be available), you’ll want to know whether this car is a memorable sign off for one of Aston’s most important eras. 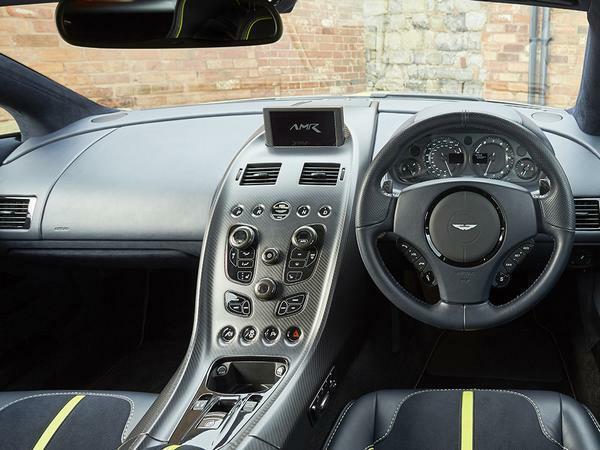 Think for a second where Aston was prior to the DB7 Vantage’s arrival, and where it now sits 20 years later; this period of the 5.9-litre V12 has seen Aston through from a relatively niche sports car player to a cool, desirable, exciting brand exploring avenues never before considered. 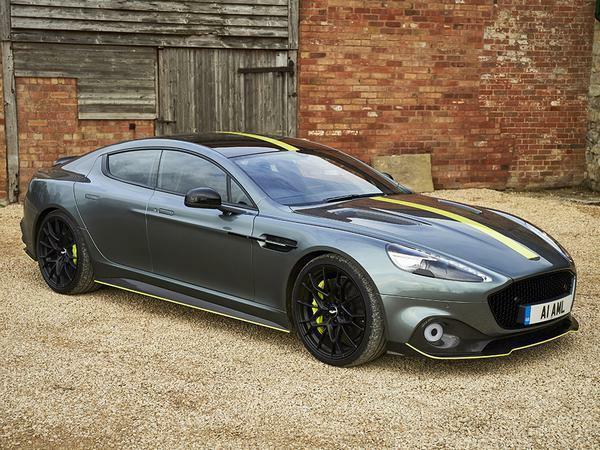 Anyway, to answer the query very briefly, yes – the Rapide AMR feels every inch the proud departure we would want for the Aston V12. This is intended entirely as a compliment, but such is the Rapide’s age now that this AMR feels not far off a restomod. That’s an exaggeration to some extent, of course, but there’s just so much here in a new car that already conjures fond memories of the past – chunky V12, rear-wheel drive, hydraulic steering, a relative lack of complexity – that the impression is impossible to escape. It’s meant as a compliment, too, because everything dynamic is so nicely done. 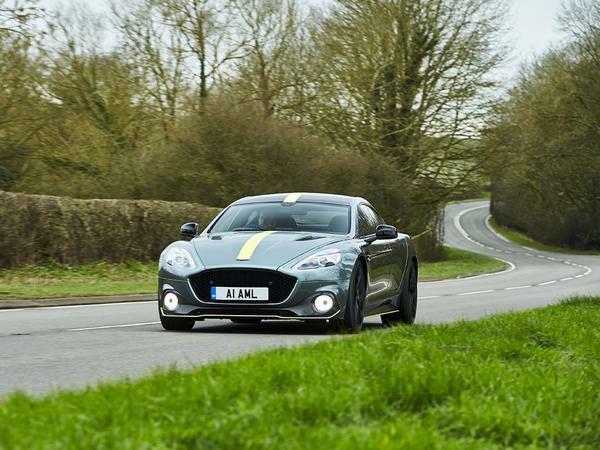 The last Rapide to be made is also the most powerful ever, using the GT12’s evolution of the V12 to produce 603hp and 465lb ft. Paired with the eight-speed ZF automatic – i.e. a preferable transmission to the Speedshift automated manual used in the GT12 - it’s a fine sign off for an iconic engine. While it should be apposite to highlight shift speeds that can’t match the very latest gearboxes, or performance that would be shown up by an M5 at half the price, none of that has any relevance behind the wheel. Because if speed and efficiency were primary motivators behind our transport choices, in a lot of cases no car would feature at all. 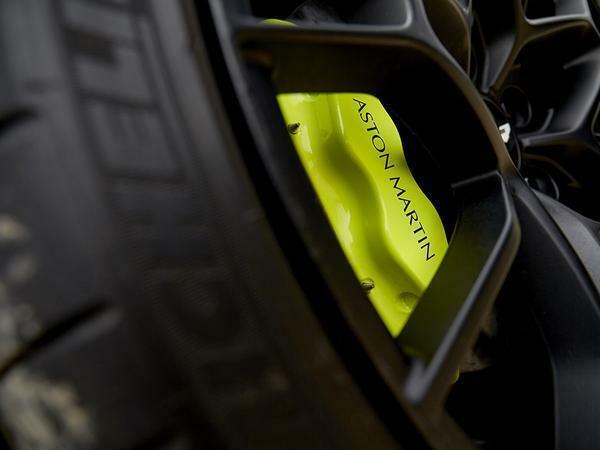 We drive because the experience makes it worthwhile, and on that score the AMR knows no equal – you never want to stop. That engine remains as majestic as ever, primarily that’s because of the noise, the sweet, sharp, sonorous melody now consigned to the annals of history, but also because of the characteristics that are only really there with large, atmospheric engines. Throttle response is immaculate, power builds throughout the rev range, and there’s ample, predictable torque without the need for turbos. It’s immense and imperious in a very naughty and entertaining way, the building crescendo considerably more thrilling than the very serious manner in which speed can often now be delivered. There’s probably the same caffeine benefit to a couple of Pro Plus as there is to a lovingly crafted cappuccino, but what sounds preferable to start the day with? Sometimes the experience is worth more than the raw outcome. So while an AMG E63 will be even quicker still, this sort of performance (and experience) can’t fail to impress. And amuse. 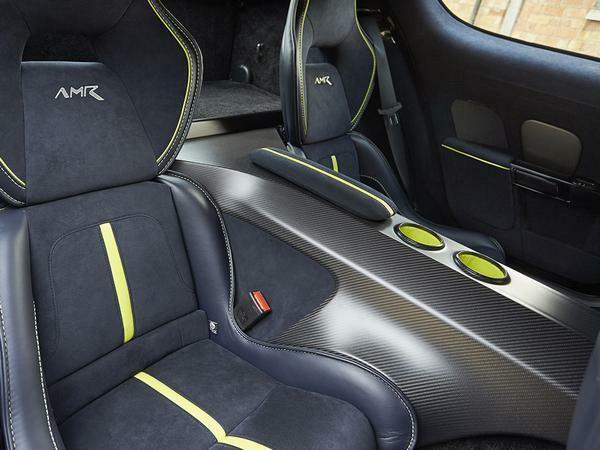 Same goes for how the AMR drives – other cars will be more capable outright, but it’s difficult to think of any that you’d rather be involved with the process of driving. 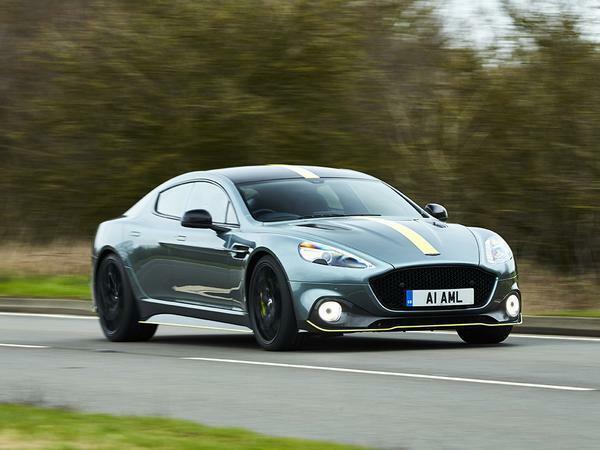 The AMR modifications have wrought a more immediate, less languid Rapide than we’ve known previously, yet it retains that glorious fluidity, engagement and poise that the VH-era Astons were always known for. The lucid, feelsome hydraulic steering means it’s almost poured into corners, the process deliberate and extremely satisfying. 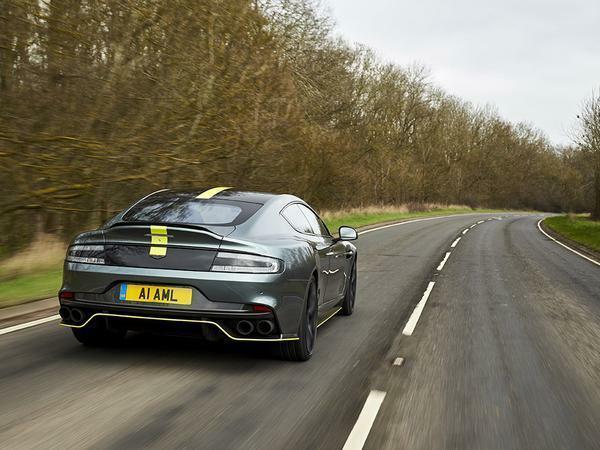 The whole car and experience feels attuned to that as well: despite the racy overtones, the AMR naturally still feels like a road car, albeit a lovingly sorted one. 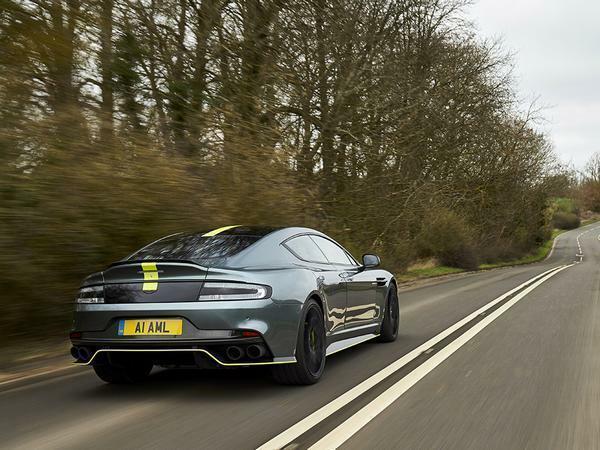 The recalibrated adaptive damping system – with some Nurburgring development – delivers sumptuous control, the AMR managing its mass adeptly without losing sight of being a four-door luxury car. It’s supremely comfortable, basically, and confidence inspiring, while never floaty or aloof – not an easy trick to manage. 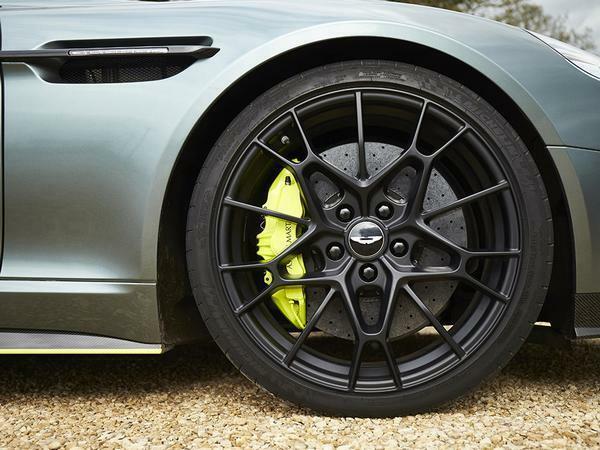 The Michelin Pilot Super Sport tyres deliver strong grip, though never to the detriment of the experience; the limits can be pushed (and breached) with ease, such is the AMR’s feedback, balance and inherent ability. 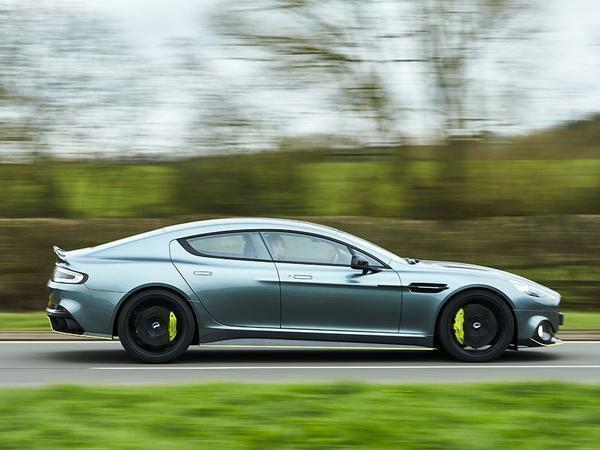 The new (for a Rapide) ceramic brakes are worth a mention, too. The pedal might be softer than is ideal, but there’s at least weight and resistance, another dynamic interface to interact with and appreciate, where so many equivalents can still feel like light switches. 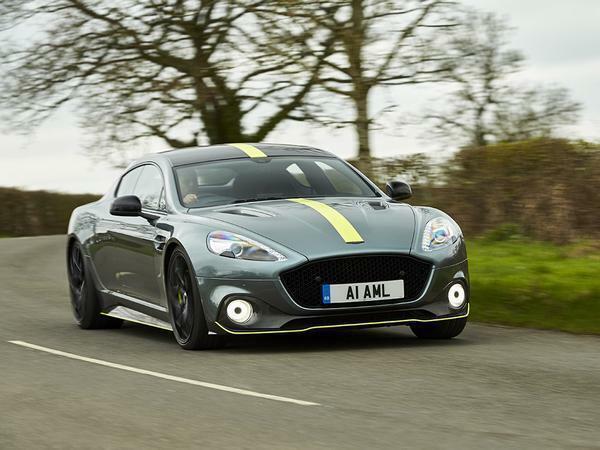 Put simply, the AMR is a Rapide injected with extra aggression, ability, and attitude, all without detracting from the traits which made the original so appealing. Exactly as was achieved with the DB11 equivalent, in fact. More engaging and more satisfying to drive, while still immensely relaxing, cossetting and cool when required. Alright, perhaps the latter doesn’t apply in this colour scheme, but you get the point. It’s just better, without equivocation. 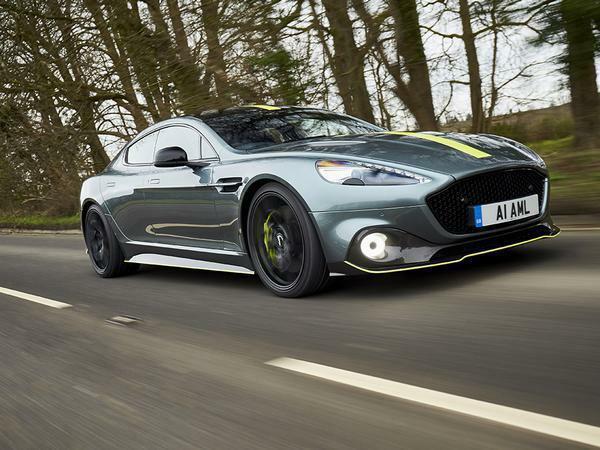 Tell you what the Rapide AMR feels like, and this is again meant entirely as a compliment: it’s like the old Vanquish S (because of the engine, and the dynamics) crossed with an E39 BMW M5, because of the way everything feels in such perfect harmony. And, well, because it has four doors, and will likely be remembered very fondly by those who like large cars with large engines. 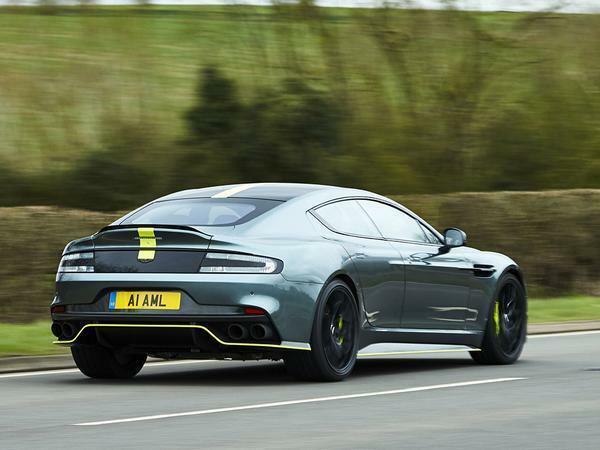 The AMR’s only significant drawback, beyond the ones that have dogged it since launch (and which seem churlish to bemoan now), is that so few will get to experience this mighty farewell to the nat-asp Aston V12. Just 210 are being made and there’s no escaping the fact that £195k is an enormous sum of money. Not only because this is an old car objectively outclassed by newer, more affordable rivals, but since it’s nearly £50k more than the already really rather lovely Rapide S.
To hell with objectivity. Anyone entertaining the possibility of an AMR won’t care one jot about its faults – as they well shouldn’t. 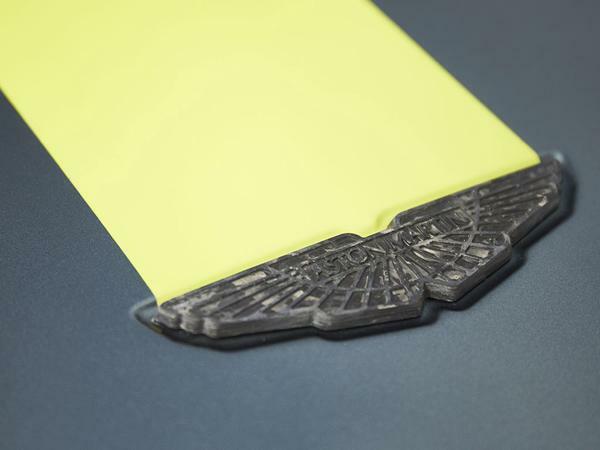 They’ll be concerned about the car as a piece of Aston history, as a celebration of a great engine and a momentous two decades for the brand – on those criteria the AMR is an unequivocal triumph, brimming with the panache, swagger and raffish desirability that have come to define Aston Martin in the 21st century. Long may they continue to do so, even if the 5.9 V12 won’t be a part of the formula. Always liked these. Early cars are now sub £40k. 10mpg around town would soon get annoying mind. Dear god whoever specs Aston’s press cars should be made Boris Johnson’s manservant as punishment. Those dayglo stripes and brake calipers make a pretty car look naff. These were always meant to be a gentleman’s express, not some tarted up chavtastic lotto winner’s wheels. I literally have no idea why this exists, who would buy it and what they'd use it for. And you are reading Pistonheads? 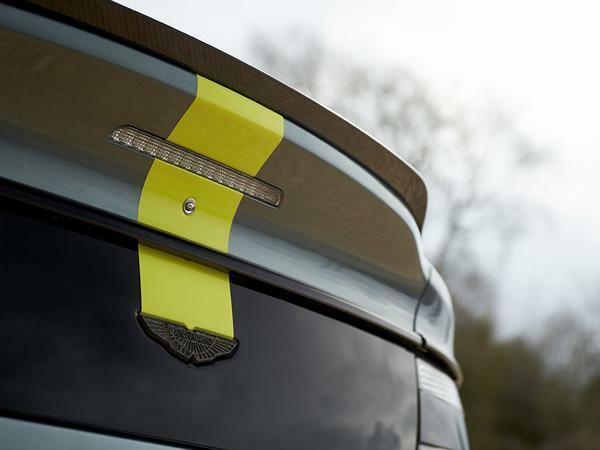 As a statement of intent with regard to what AMR means for the marque, it was a great addition to the DB11 AMR. Rather than it be a merely level of trim, it stands for objective, sizeable performance improvements over standard models. Of course the lime accents and calipers wont be for everyone, but the way in which they drive is really quite impressive.